Development of shape memory materials are very important due to their scientific and technological values. Typically, poly(lactic acid) (PLA) has received increasing attentions because of shape memory properties and biodegradability, however, its semi-crystalline structure restricts its shape recovery ratio and toughness both. 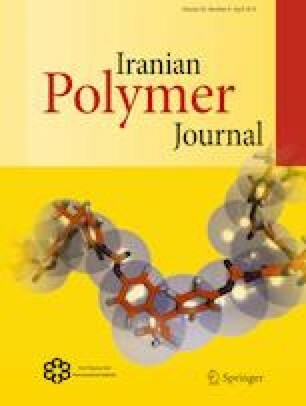 Herein, we report a reinforced PLA-based elastomer material prepared by physical blending with different weight ratios of polyamide elastomer (PAE). After the modification, PLA/PAE elastomers show excellent shape recovery (> 99%) from ~ 25 to ~ 70 °C and toughness (impact strength ~ 50 kJ/m2). By regulating the weight ratio of PAE at 10 wt%, the resulting PLA/PAE elastomers showed relative low glass transition temperature (Tg) at ~ 61 °C versus pure PLA (~ 65 °C). Besides, the storage modulus (E′) decreased to ~ 8000 MPa (at 10 wt% PAE) indicated that PAE weakened the PLA crystallinity and promoted its toughness. Comparing with pure PLA, PLA/PAE elastomers showed almost 45% decrease on loss modulus (E″), which indicated that elasticity and shape recovery behavior have been promoted. With the increase of PAE ratio in PLA/PAE elastomers, the initial recovery temperature of blends showed decreasing trend, which indicated that blends are more helpful for shape recovery actuated by temperature. This work provided a new PLA/PAE elastomer with stronger toughness and faster thermo-induced shape recovery that may show great potential for fundamental research and biomedical applications. The online version of this article ( https://doi.org/10.1007/s13726-019-00706-6) contains supplementary material, which is available to authorized users. This study was financially supported by the Zhejiang Province Public Welfare Project (no. 2017C31112).